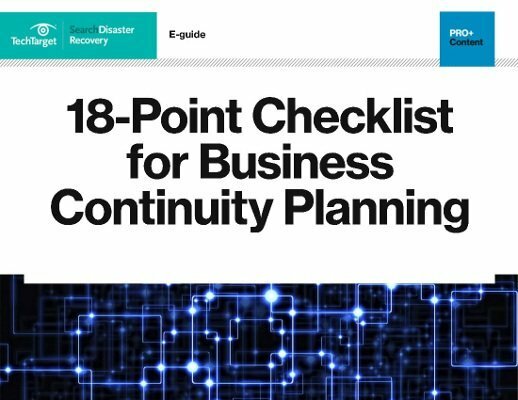 A disaster recovery (DR) plan can only be as effective as the operations and facilities that serve the plan. This topic section provides up-to-date news and how-to information for ensuring that the operational processes and housing of a DR plan are effective in the event of a disaster. Check out this section to learn more about failover and failback protection, server virtualization, power as well as best practices for maintaining recovery site systems and data. While the cloud is a steady presence, the backup and disaster recovery software finalists provide a variety of capabilities across technologies and platforms. Axcient, Veritas and Zerto upgrade their software for VMware configurations. The upgrades center on data recovery, workflow automation and data dedupe for virtual servers.